Cardiovascular disease is extremely common in the United States, with 84 million people having some form of the disease, leading to 610,000 deaths every year. In spite of its common occurrence, first responders and physicians historically only had emergency protocols on paper. When a patient suffers from a cardiac arrest, the last thing anyone wants to be searching for is a scrap of paper. Mark was seeking an easier way for Minneapolis Heart Institute’s network to get the latest cardiac arrest treatment protocols. 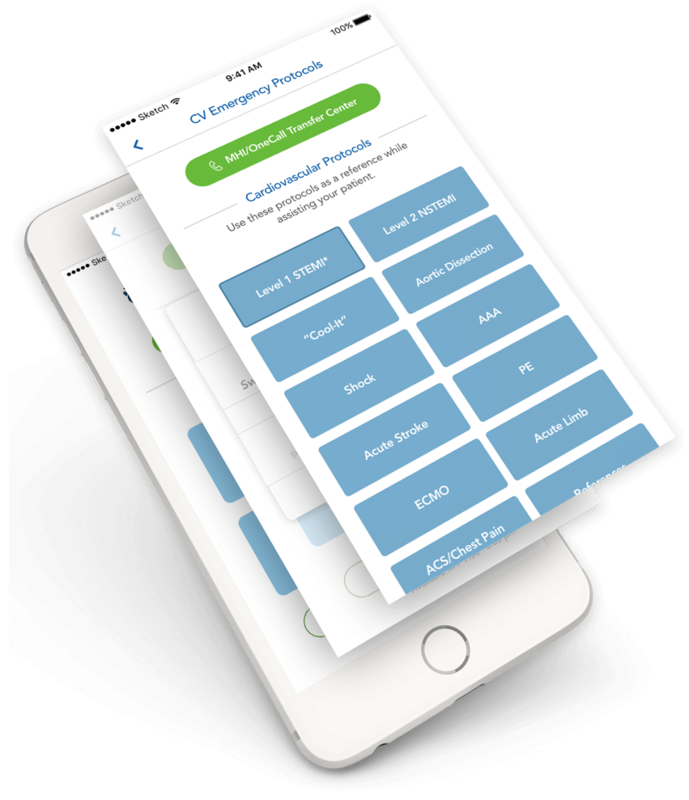 We began by developing an intuitive app that put up-to-date protocols in the palm of physicians hands, without the need to scramble for out-of-date paper versions. We integrated all existing processes of MHI to ensure the delivery of standardized protocols across the network. The data was also hard-coded for offline use to ensure that physicians, especially those in rural areas, could access the protocols, regardless of wireless connections. 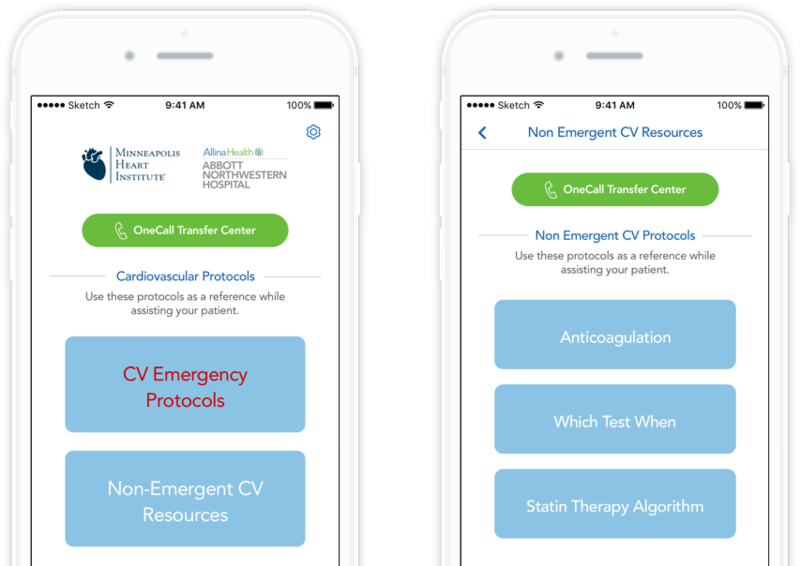 A mobile app with current cardiovascular emergency protocols, available to physicians anywhere and anytime. 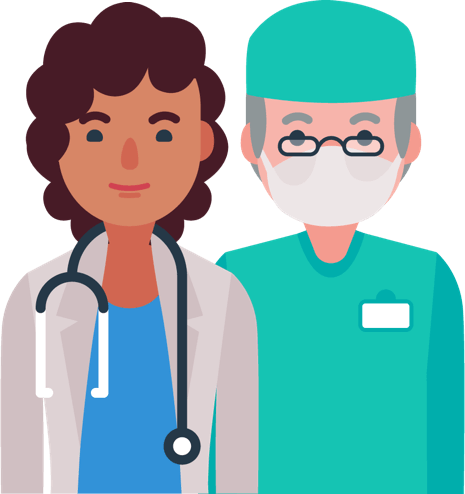 Access to medical professionals for consultation or patient transfers are also enabled by the app, ensuring that healthcare providers have the tools they need to ultimately save lives. 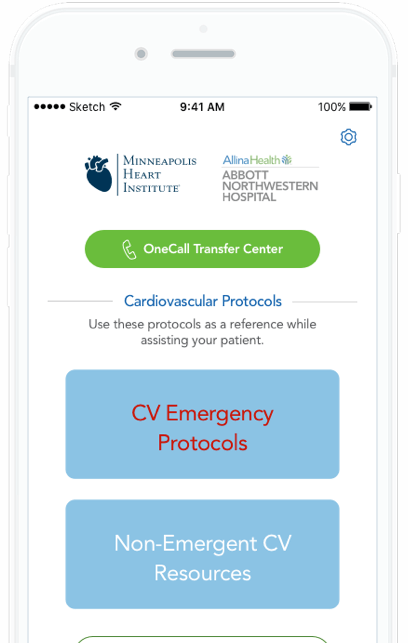 Although initial targets were for a few hundred downloads from key physicians within the Minneapolis area, the mobile app has since been downloaded more than 4,000 times in seven countries. The app is actively used in the field and has already saved multiple lives.